Issued by Rubicomm for Decision Inc.
Decision Inc. awarded Qlik Partner of the Year. 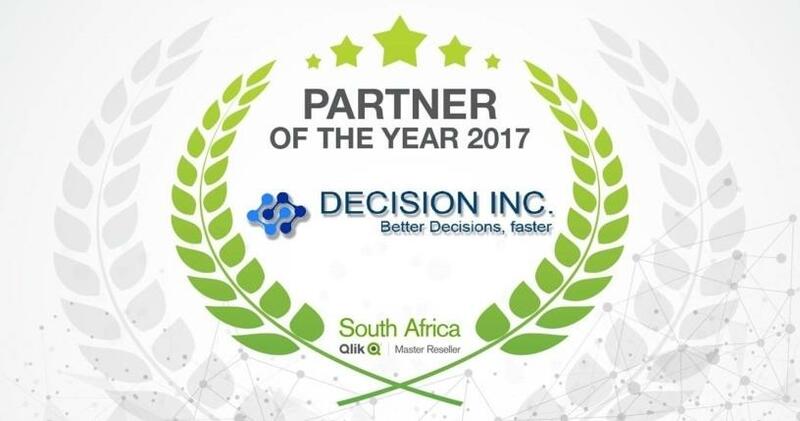 Decision Inc., an information strategy and technology consulting organisation, was awarded Qlik Partner of the Year 2017, for the second year in a row, at the prestigious Qlik Partner Awards event, on 6 February 2018. The award highlights the company's impressive capabilities on the Qlik platform, providing clients with dynamic and relevant solutions to help them make better decisions faster. "We were honoured to have received this award last year for 2016, so taking it home again for 2017 is an incredible achievement," says Nick Bell, CEO, Decision Inc.
"The Decision Inc. team have been dedicated, creative and committed to implementing Qlik solutions to help our clients grow their businesses. These qualities have taken our relationship with Qlik and our clients to the next level." This year's Qlik Partner Award may rest on the shelf beside that of 2016, but the team won't be resting on its laurels. It is looking towards new implementations and solutions that can redefine the capabilities of Qlik. The solution that truly stood out over the past year include implementations at PepsiCo Simba, where it was awarded the Innovation Award for its outstanding work on the Customer 360 project. Decision Inc. is a leader in enabling its clients to make better decisions, faster. Its foundation is built in technology, but what makes it unique is its understanding of effective decision-making. Decision Inc. represents leading global technology brands and is an expert in the implementation, support and execution of these technologies. Its experienced consulting resources deliver decision advisory and strategy capabilities, data engineering, insight generation and presentation, as well as solution enablement and support.